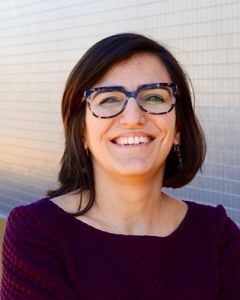 Ana Paula Pêgo is Scientific Director of the Bioimaging Centre for Biomaterials and Regenerative Therapies of INEB and she is an Invited Associate Professor at the Instituto de Ciências Biomédicas Abel Salazar (ICBAS) and at the Faculty of Engineering (FEUP) of the University of Porto. AP Pêgo is an Associated Editor for Biomaterials and an elected member of the European Society for Biomaterials Council of each is the current Secretary. She will be giving a colloquium at Institute for Bioengineering of Catalonia (IBEC) on April 8th, 2019 at 16:30 hrs, as part of the BIST Colloquium Series. The BIST Colloquium Series consists of monthly lectures and discussion sessions with internationally recognized researchers, providing a broad exposure to multidisciplinary research in experimental sciences. The main aim of the Colloquia is to provide attendees direct contact with inspirational speakers and leaders, who will talk about cutting-edge challenges in contemporary research. Title: A targeted journey towards (Neuro)Regenerative Engineering. Abstract: One of the challenges facing the neuroscience field is the development of effective therapies that can enhance the regenerative capacity of the nervous system based on the advances achieved in basic research. We have been dedicated to using nano-enabled solutions to the design of new therapeutic approaches towards the enhancement of the process of nerve regeneration. In this talk, particular emphasis will be given to the design of biomaterial-based nanoparticles for targeted nucleic acid delivery to neurons to promote neuroprotection and neuroregeneration. dendrimer based vectors  for brain delivery in the aftermath of stroke. microfluidic-based platforms to mimic the in vivo administration of neurotropic nanoparticles . The financial support of Fundação para a Ciência e a Tecnologia (FCT) (Grants: PTDC/CTM-NAN/115124/2009 and PTDC/CTM-NAN/3547/2014) and INFARMED is gratefully acknowledged. Biography: Ana Paula Pêgo got her Ph.D. in Polymer Chemistry and Biomaterials from the University of Twente, the Netherlands, in 2002. In 2003 she became a researcher at INEB where she is a Principal Investigator since 2012. By using nanomedicine strategies her group – the nanoBiomaterials for Targeted Therapies (nBTT) Group – aims at providing in situ and in a targeted manner the required signals to promote nervous tissue regeneration. The research on new biomaterials for application in neurosciences includes the development of new polymers for the design of alternative vectors to viruses for efficient nucleic acid delivery and preparation of nerve grafts for spinal cord injury treatment. Societal and ethical issues that concern Regenerative Medicine and NanoMedicine are also a topic in which Ana Pêgo is involved.